Getting LED grow lights for your indoor garden can be a bit intimidating as you have a lot of technical information to digest. You might rather just let your plants outside in the sun instead of reading up on wavelengths, light colors, and temperatures. Do not fret as we are going to provide you the beginner’s guide on what to look for in LED grow lights. Frankly, the answer to the question “What to look for in LED grow lights?” is—a lot, but in this article, we are going to enumerate the main three things that you should know about the LED grow lights. Read on to find out what LED grow lights really are and how they can be beneficial to your seedlings or growing plants. The “LED” stands for Light Emitting Diode. This is basically a light that has a small bulb. In order for it to produce the proper amount of light, different diodes in various colors are used for specific purposes. The LED grow lights are used as an alternative to natural sunlight for indoor plants or even aquatic plants since the light from the LED are efficient enough to provide the same effect of the sun. A lot of horticulturalists use LED lights for professional greenhouses and indoor gardens since they are more convenient and customizable. It is specifically used to stimulate plant growth since the electromagnetic spectrum coming from the LED light optimizes the photosynthesis process of the plants. You can easily utilize a small space to your advantage when you have LED lighting solutions as these lights do not take much room. You need not think of wire management or cable management. It is also very easy to change its position. In a nutshell, you just have to plug it in and adjust it to a specific angle. With the use of LED grow lights, you can adjust the amount of light your plants will get. You can customize the light spectrums based on what your plants need. This type of feature cannot be done with other lights. LED lights are proven to consume less electricity than regular lights, so maintaining your low electricity bill will not pose a problem. This type of light is both efficient with power and saves energy. LED grow lights last a long time. They can run for more than 100,000 hours before dying out. The other lights, on the other hand, can only last through a mere 25,000 hours or less. Them being lights that run at low temperature, it helps them to be durable, and at the same time, their low-temperature run is beneficial to the plants. This is the most important thing to know. You must determine the right LED grow light with the specific plant you are growing. Different plants need different LED grow lights. Some plants need a stronger light while others need a light that has more blue than red light. Again, it depends on the needs of your plant. An example of this is the flowering plants. These plants need a low light spectrum so the blossoms will not burn. Also, green and leafy vegetable need a high light spectrum with a balance of red and blue light for their leaves to be healthier. The effectiveness of your LED grow light use will be based on the proper light you choose that will be suitable for your plant. Take note that almost all LED grow lights can help grow plants at any stage may it be a seedling or a fully grown plant, so there is no problem with the age of the plant. The size of your growing space or indoor plant space will inform you how many LED lights to purchase. LED grow lights come in different shapes, sizes, and colors so you cannot just go on a whim and buy one that is too small or too large either way, this might damage your plant. A good default measure is 32 watts for every square foot of growing space. If your growing space is big, then you should purchase more lights. You should also take into consideration the placement of the growing space. Are your plants confined in just one box? Are they in pots? There are also specific LED grow lights to purchase if this is the case. For growing seedlings to a full grown plant, you should use an LED Grow Light that is full cycle. For vegetables or flowers, you can use lights that are single channel or lights that have two channels that include a vegetable or bloom mode. Lights that are programmable can also be used. Paneled LED grow lights are best for vegetables since the growing space is usually straight, or the vegetables are lined up. Bulbed LED grow lights are usually used for herbs or potted plants. Now you know the three main things as to what to look for in LED Grow Lights. 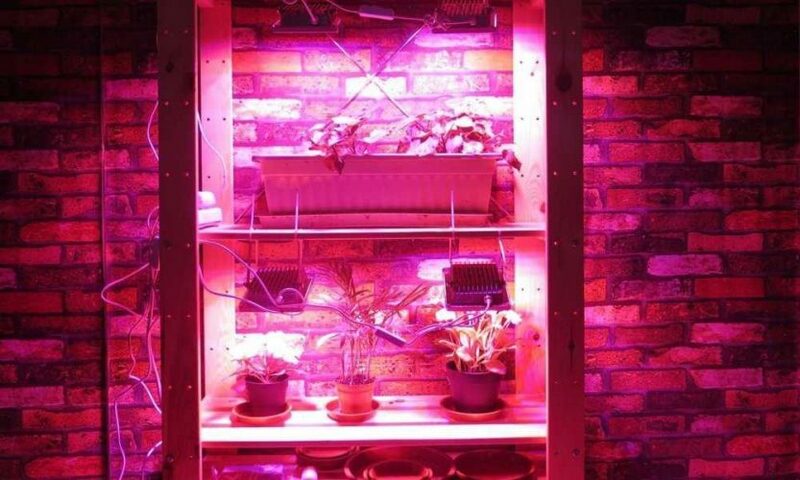 There is still a lot to know with regard to temperature, the colors of the light, and spectrums but having these three things in mind will already give you a general idea of what LED Grow Lights to get. It is important to take good care of your plants, but without the knowledge of the three that we discussed, you will still be very confused about what to get. Just always remember that your LED Grow Lights should always follow the needs of your plants.